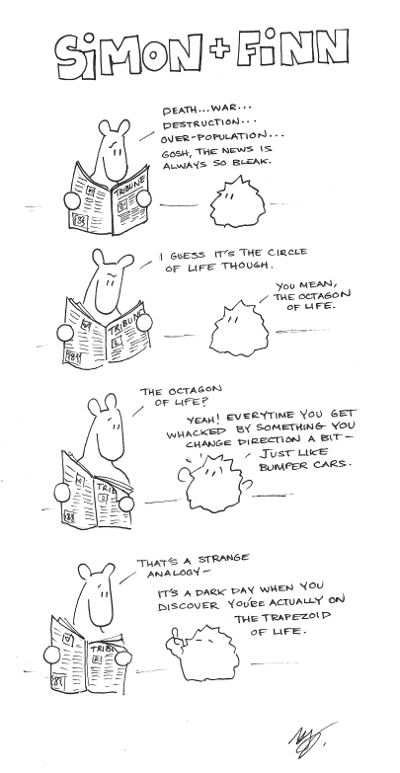 This entry was posted in Philosophy, S&F Cartoons only and tagged circle of life cartoon, circle of life joke, philosophy webcomic, simon and finn, simon and finn comic by simonandfinn. Bookmark the permalink. Ha! We’re all trapped for sure. I was about to say, “see you ’round’, but I guess that is no longer the case.